A disciple of Dagh Dehlvi, Bekhud Dehlvi was born at Bharatpur where his ancestors were employed at reputable positions. His father, Syed Shamsuddin was also a poet and wrote under the pen name, ‘Saalim’. 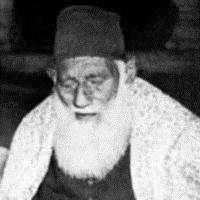 After his birth, Bekhud was brought to Delhi where Maulana Haali educated him in Arabic and Persian. Under Haali's leadership, he was fortunate to read the poetry of legendary shayars and acquired knowledge about the craft and finer nuances of sher-o-shayari. On observing his skill in poetry, Maulana Haali advised him to become a disciple of Dagh Dehlvi in 1891. Soon, he became one of the best disciples, imbibing the style of his teacher. Bekhud's poetry is full of linguistic maneuvers and amongst the disciples of Dagh, he holds a distinction of making colloquialisms that are worthy of appreciation. His compositions include Guftar-e-Bekhud and Shahsavar-e-Bekhud. He breathed his last in the year 1955, in Delhi.